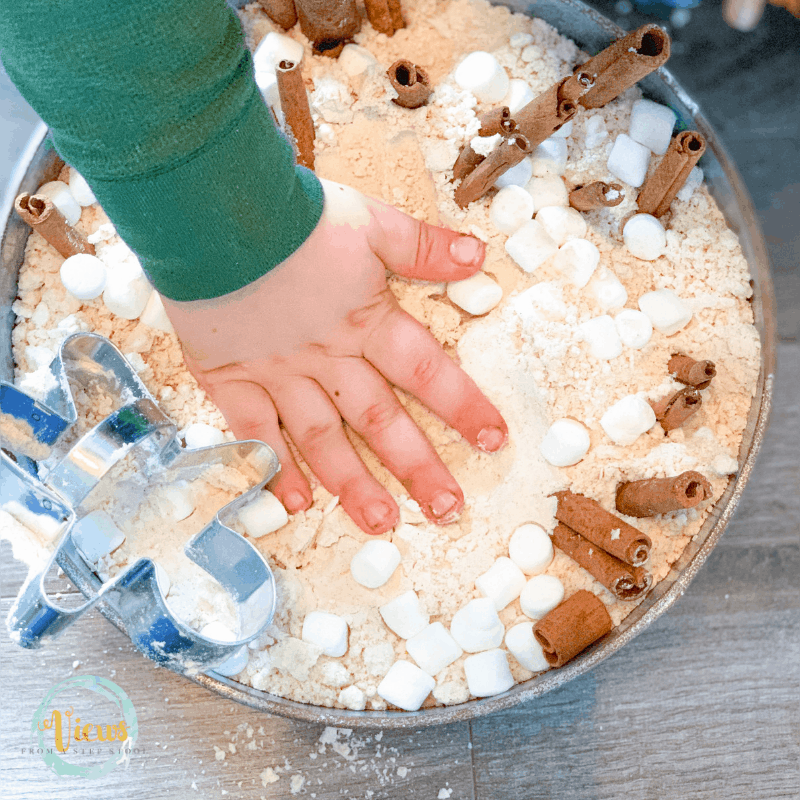 This gingerbread cloud dough sensory bin includes scented cloud dough and a gingerbread cookie cutter to create fine motor and pretend play for kids. 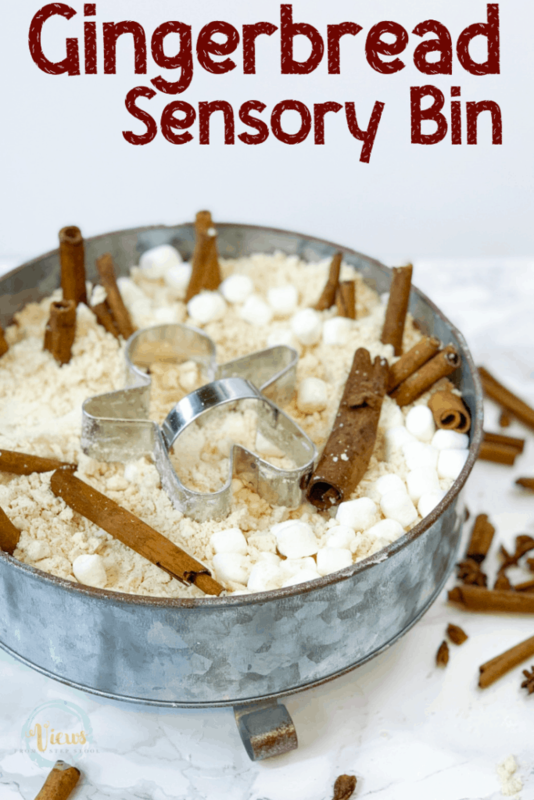 This gingerbread sensory bin uses scented cloud dough for kids to play with and explore. This is excellent for pretend play and fine motor practice. This scented cloud dough which is an edible base is perfect for sensory play with babies or toddlers. 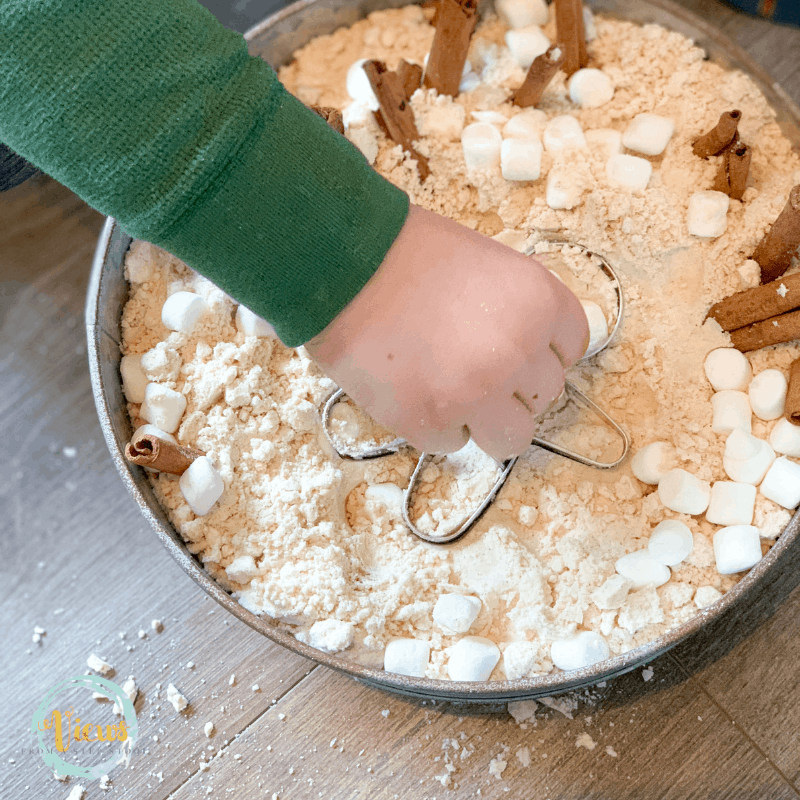 Check out the video below to see this activity in action, then read below for a list of ingredients and instructions. Scooping and pouring are favorite toddler activities. 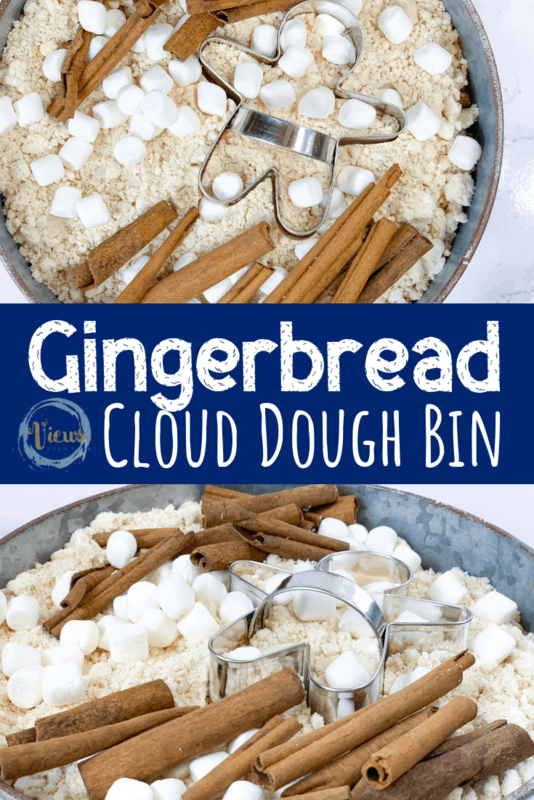 This gingerbread cloud dough is easy to make with just 4 ingredients, and the bin is so easy to assemble with kids. 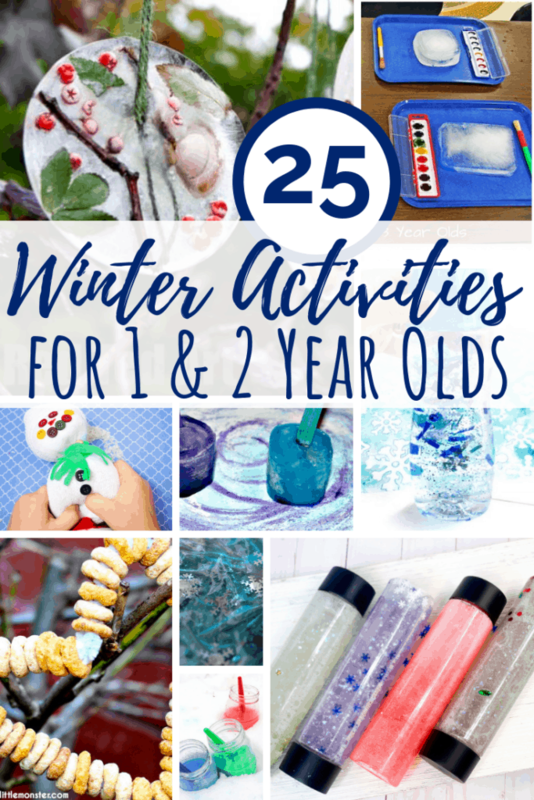 This is a sure Winter activity for toddlers favorite for us! A large plastic tablecloth or something to place under the play as this can get a bit messy! 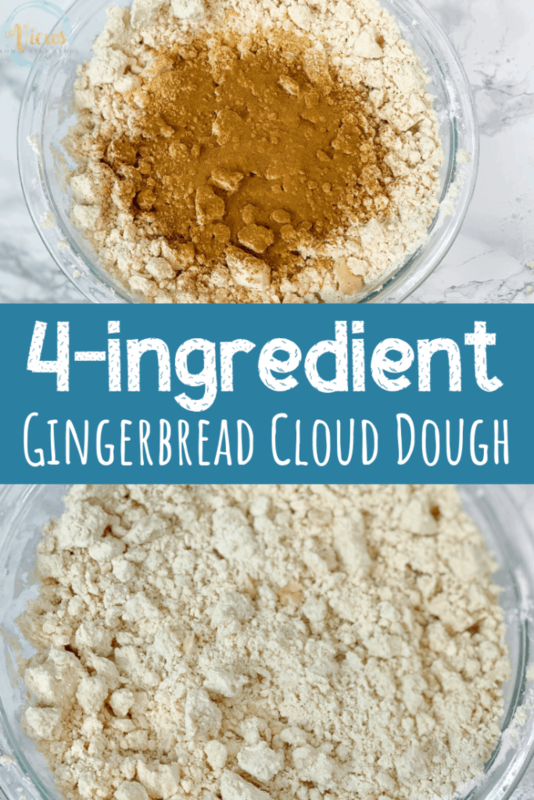 Make the cloud dough by mixing the ingredients above. The consistency should be crumbly but not easy to squeeze into balls. If it is too floury, add more oil. If too wet, add more flour. Add the gingerbread cloud dough to the tray. 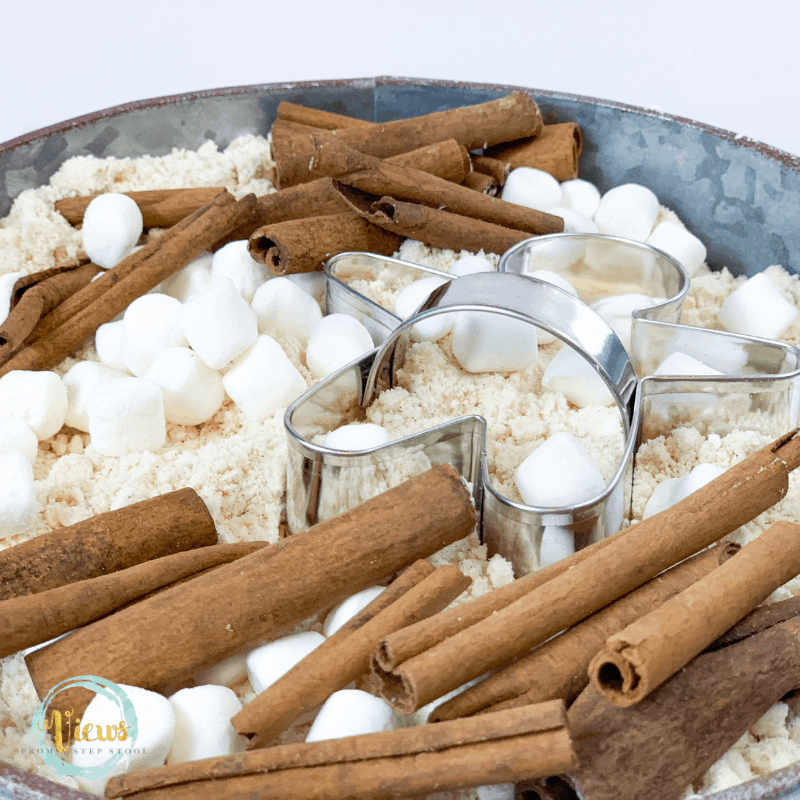 To the cloud dough, add the cinnamon sticks, marshmallows, scoops or spoons, and cookie cutters. Kids can practice scooping the dough into the cookie cutters, or pressing the cookie cutter into the dough. My kids discovered that they could press down and flatten the dough, then press a gingerbread man design into it with the cookie cutter. 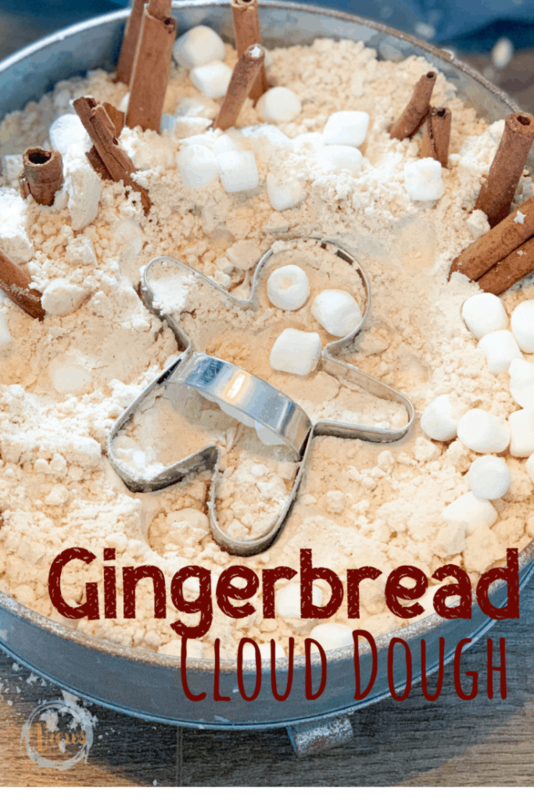 Simply playing with this gingerbread cloud dough is a wonderful sensory experience for kids. 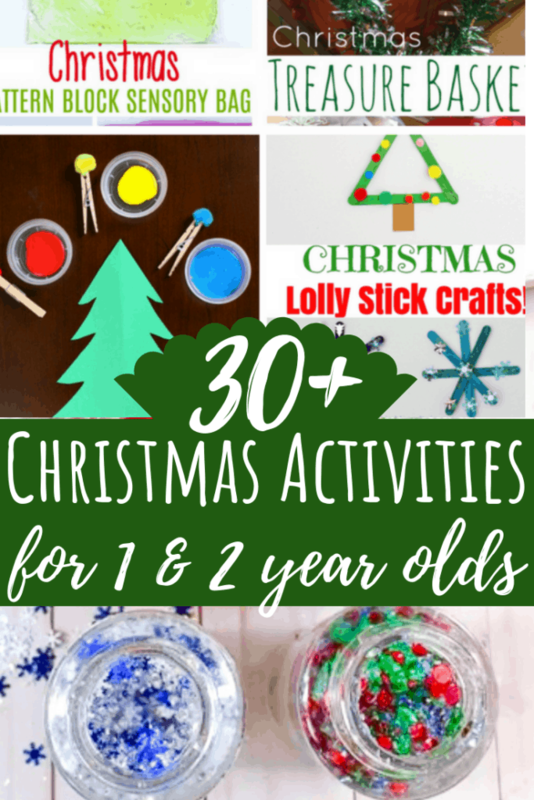 Kids will love to make gingerbread creations over and over again!